Bob and I decided to spend some time in search of turkeys this fine autumn day. We both needed to keep the hunt to a half day at the most for I needed to play music later on. I left Bob up-slope to listen while I continued on through the pre-dawn darkness. I needed to arrive along the crest of a hollow to listen and, hopefully, locate some turkeys for Bob to hunt. A grouse exploded within feet of me and after the initial startle I know I smiled at the thought of being through the same scenario many times and I react the same each time. As daylight enveloped the surroundings I heard a few yelps despite the road noise and breezy conditions. I eased toward the suspected site and heard the birds again. I hastened my pace only to hear two birds flush farther down over. Of course, I hurried towards the flush site expecting to see and hear more. Now the usual thoughts begin to sink in…were there more birds that flushed earlier or were there only two turkeys??? I picked up Bob and we sat for an hour but failed to hear any turkeys to my calling attempts. 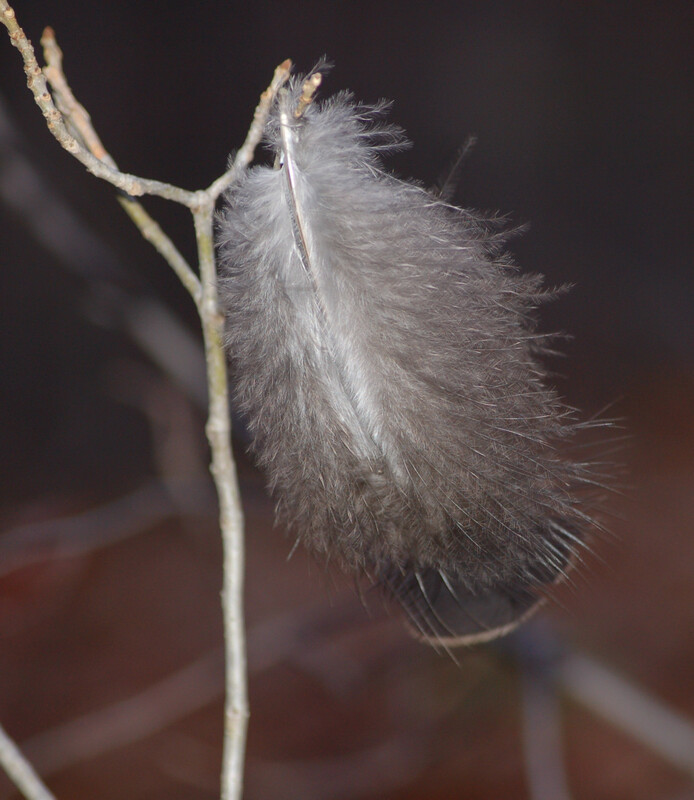 As I sat and listened I observed a turkey feather fluttering from a low limb. The breeze caused the feather to dance wildly at times. Bob and I circled some known feeding areas but still we continued on not finding any birds. Bob was ready to head towards the car and by 10:00 we were shaking our hunting clothes out to eliminate possible ticks. Speaking of ticks…I HATE THEM! I removed over 50 ticks from my clothes this day and we were only out a short time. Later while almost to Bob and mom’s home I felt one crawling near my eye and found a few more on the seat covers. Like I said…I HATE TICKS! I carried a small bottle with rubbing alcohol in it. 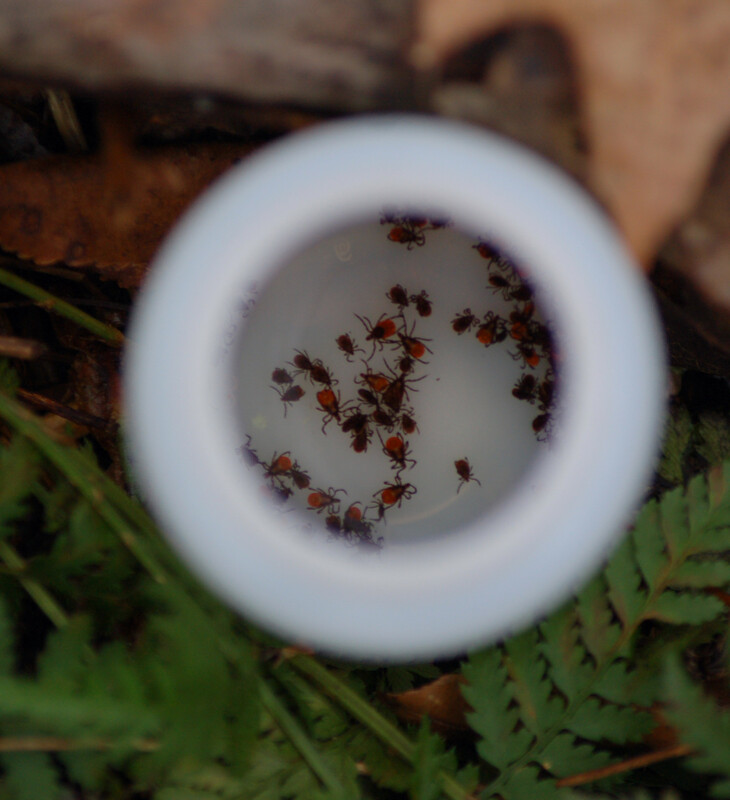 I gathered and placed the ticks in the bottle. This gives me a sense of satisfaction, I guess! All in all, I had about 10 deer sightings. I saw a red fox and only one squirrel. I heard and saw two v-shaped flocks of swans. Swans have a unique sound. They do not sound the same as Canada geese. I kicked out a woodcock too. This is becoming a rarer sight in Pennsylvania as the years go on. I shook out my clothing over the tub upon returning home and showered. No Ticks!